LED Tubes Can Be Used For Tandem Circuit-Which Tube? What are tubes for tandem circuit LED? Neon tubes in ceiling mounts are installed in many Office or industrial buildings. Usually, these neon tubes are 60 cm long. Although many companies replace their old neon tubes by economical LED tubes. In most cases, this is easily or without a modification of the lamp. 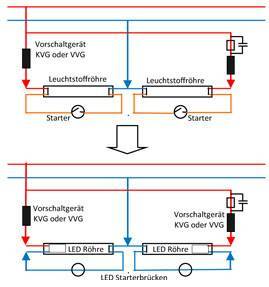 Every tandem circuit, make sure that the LED tube for tandem circuit is suitable the conversion will not work. What Is A Tandem Circuit? In a standard, normal version for neon tubes, usually a magnetic ballast or ballast ballast is present per tube. When the so-called tandem circuits, two neon tubes are operated by Daisy on a ballast. This series circuit prevents the conversion of neon tubes by economical and long-lasting LED tubes. For such tandem circuits, there are 60 cm (600 mm) which can be used also in tandem circuits without a modification of the lamp by the brand manufacturer Philips® special LED tubes. This is a significant advantage since approval in the light by a rebuild goes out and you could get possibly an existing insurance cover this. The MASTER LEDtube value 600m 10W is available from Philips in the light colours 830 = 3000 K, 840 = 4000 K and 865 = 6500 K and can be used in so-called versions with tandem circuit (KVG) without modification.LED dummy Launcher is included. The luminous flux of this LED tubes for tandem circuit at 1000 lumens say 100 lumens per watt. The useful life is 40,000 hours. 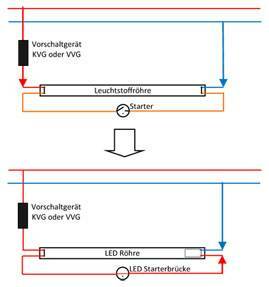 The manufacturer on the master LED tubes is also a guarantee of five years (www.philips.de/gewaehrleistung). Distributors are LED tubes for tandem circuit under the product codes 46141900=warm white, 46143300=neutral white or 46145700=Daylight White. 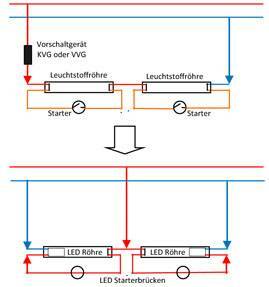 According to the Philips lamp overview exists for these LED tubes for FIR circuit eineZertifizierung including requirements of the safety standard IEC 62776 for double-ended lamps. Make tubes that before the purchase of thrifty LED whether the model for the conversion of the respective luminaire is suitable, especially tubes can be used for lamps equipped with tandem circuit only special LED for tandem circuit.